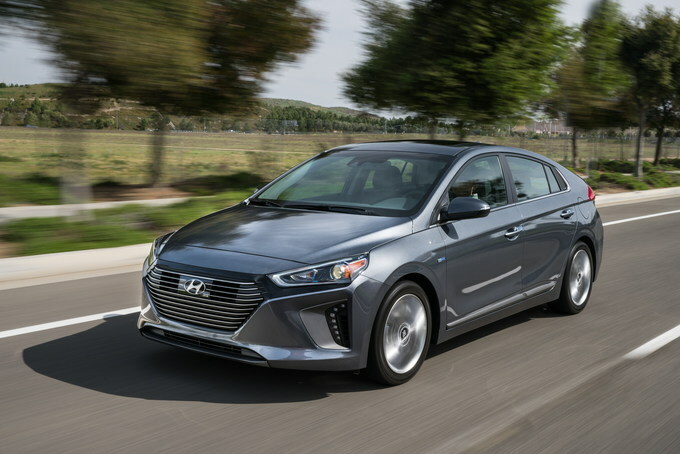 Hyundai doesn’t just want to be a budget brand anymore – it’s after the green credentials of mainstays like the Toyota Prius and the Chevrolet Volt. 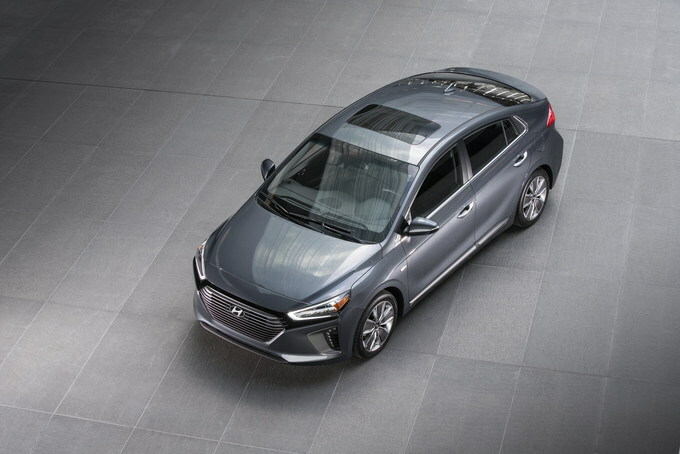 The 2019 Hyundai Ioniq Hybrid is a genuine competitor to both, with outstanding efficiency and newly standard safety tech. 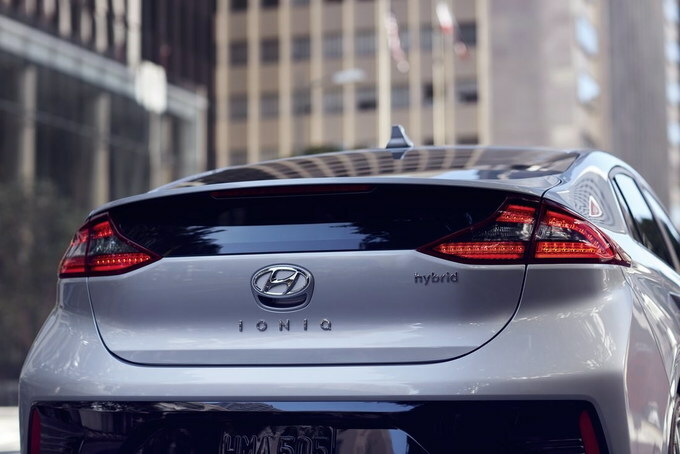 The Ioniq comes in three configurations: Hybrid, Plug-In Hybrid, and Electric – the latter two are covered separately. There’s not a bad apple in the bunch, and the Electric model currently holds the title for most efficient car on sale in the USA. But for most buyers, the hybrid will make the most sense. It’s available in three trims: the hyper-efficient Blue, the mid-range SEL, and the luxurious Limited. The Blue gains a couple of miles per gallon thanks to low-rolling-resistance tires, but it’s worth stepping up to the SEL trim for more useful features. 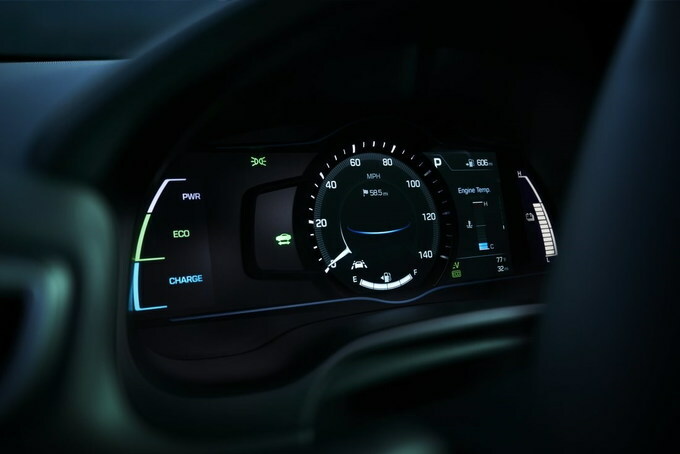 These include heated front seats and side mirrors, LED running lights and taillights, and a seven-inch digital driver’s display. 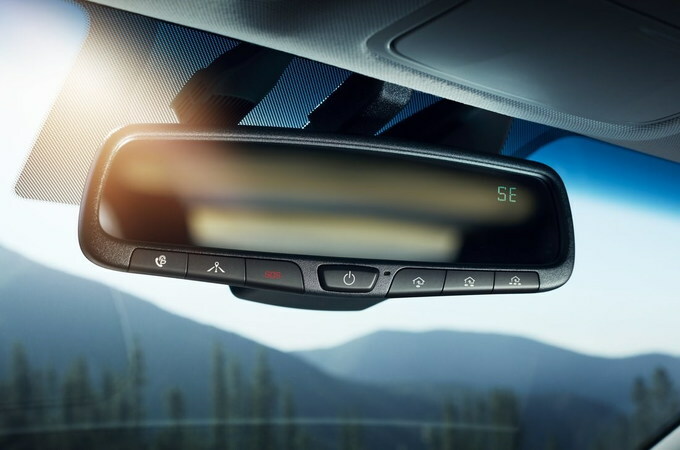 Newly standard on the SEL trim is automatic emergency braking, which joins a safety suite including lane keeping assist, driver attention warning, blind-spot monitoring, rear cross-traffic alert, and adaptive cruise control. So equipped, the Ioniq Hybrid is comfortable, stylish, and safe – and it still gets a startling 55 mpg. 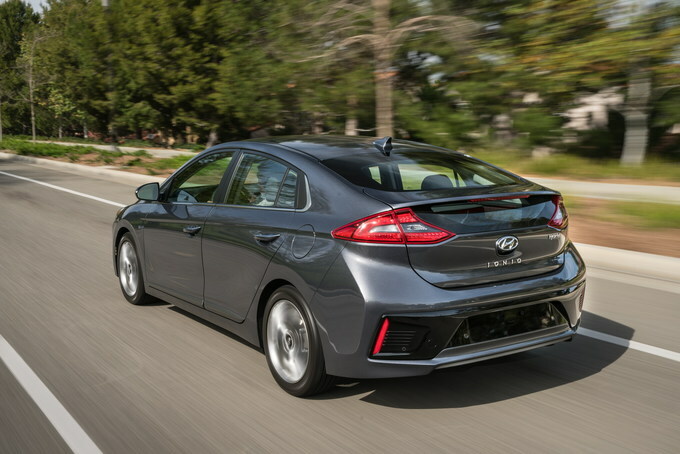 The numbers that matter for the Ioniq Hybrid are the ones at the fuel pump, but it remains impressively drivable. The experience is smooth and mostly seamless, even as the system integrates regenerative and friction braking. 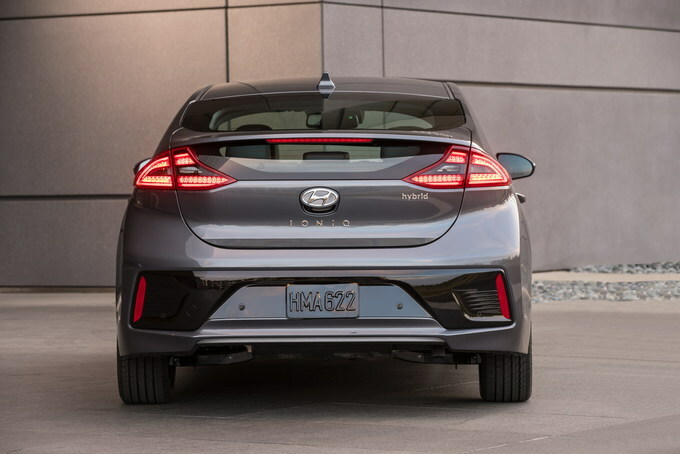 A multi-link rear suspension on the hybrid model helps keep things composed in the corners, and the battery packs bless the Ioniq with a low center of gravity. Fuel economy numbers are stellar. The Hybrid’s EPA-estimated 55 miles per gallon city, 54 mpg highway, and 55 combined, or 57/59/58 mpg (city/highway/combined) on the Blue, speaks for itself. Those numbers come at the cost of acceleration, which is leisurely across the lineup. The six-speed transmission is a refreshing change of pace from the usual hybrid continuously variable transmission, but it could use a little more refinement. 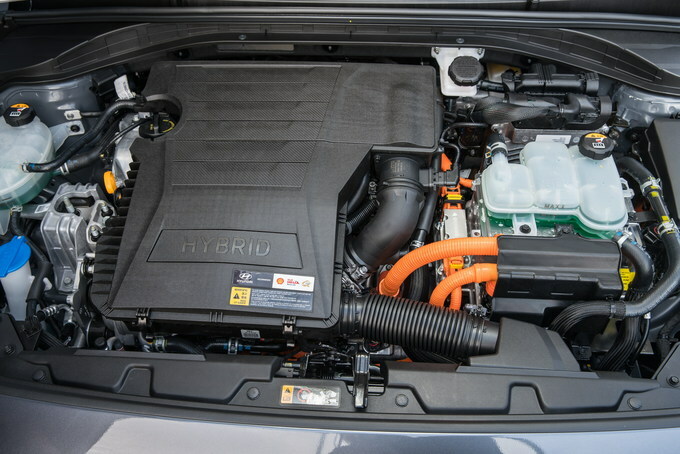 In a break from the usual hybrid modus operandi, the Ioniq Hybrid works to maintain familiarity. The body is still a hatchback, but it emulates a traditional sedan shape. The cut-off teardrop shape at the rear is the only cue, masked by sweeping exterior lines. A tasteful front end caps off the impression. Inside is a similar story – no futuristic design styles here, just an intuitive set of controls and plenty of cubbies. 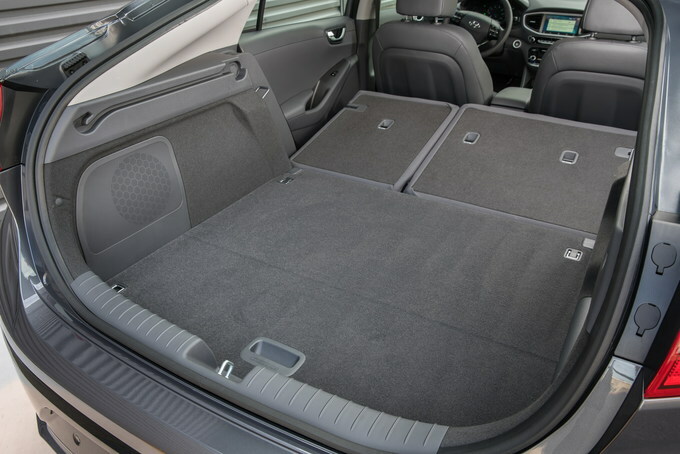 The front seats are spacious, and cargo capacity is a respectable 26.5 cubic feet in Hybrid models. The cabin is quiet, and the feature range is comprehensive without being overcomplicated. 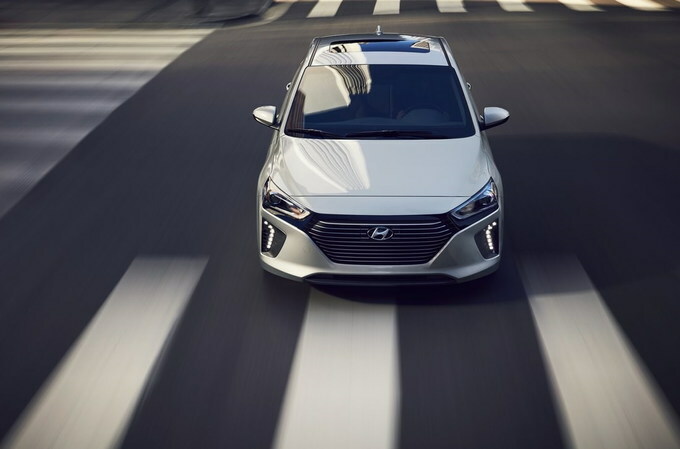 Last but not least, the Ioniq Hybrid comes with a strong safety rep (IIHS named it a Top Safety Pick) and Hyundai’s excellent warranty. 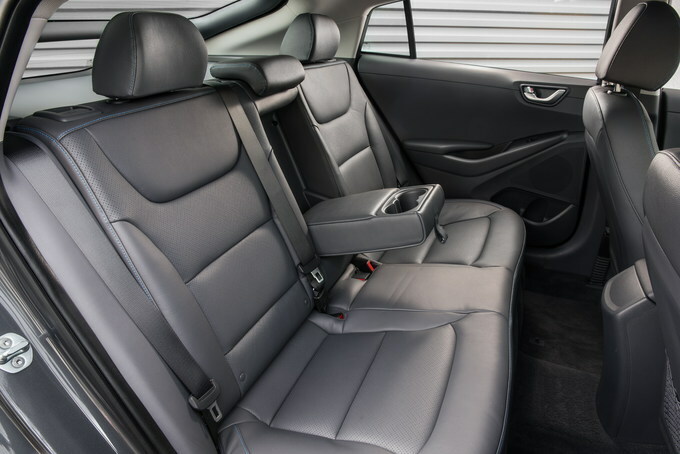 The Ioniq can’t quite foil a classic hybrid pitfall, which is rear seat space. Battery packs encroach from below, while the graceful roofline pinches in from the top. It’s comfortable for two adults, but not by much, and taller passengers may feel cramped. 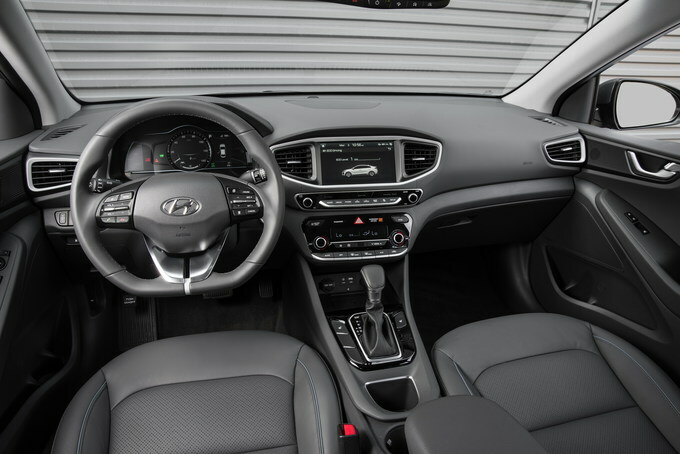 Hyundai has sourced its plastics from sustainable sources including powdered wood and volcanic ash, and while they feel better than most hard plastics, they’re still too common in the cabin. This is a hybrid that looks like a sedan, and nearly drives like one – in our book, that’s a good thing. With a better rear seat, it would be hard to beat. The Ioniq Hybrid is right for efficiency-minded drivers who prefer not to shout about their environmental credentials. It’s more efficient than a Prius and may even drive better, but it’s much less quirky. The Ioniq is wrong for drivers who prefer excitement (or who frequently carry a few friends). It's charming and sips fuel, but it’s still susceptible to the biggest hybrid criticism of all: being boring. 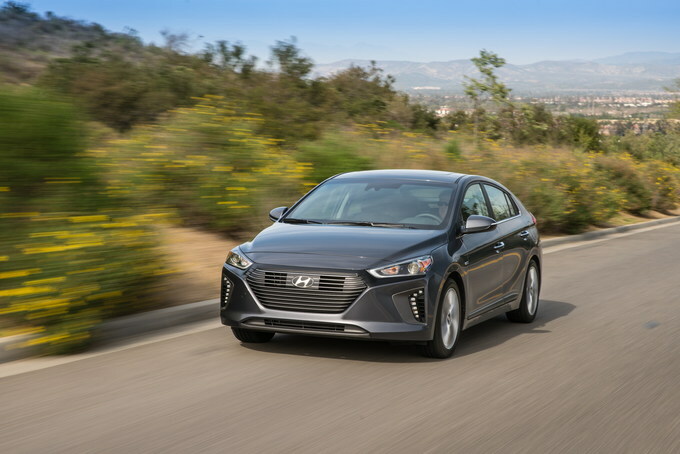 The 2019 Hyundai Ioniq Hybrid puts in a strong performance, one-upping competitors in key areas like efficiency and usability. It has a few compromises, but it’s one more step toward bringing hybrids into the mainstream. If they’re as practical and efficient as the Ioniq Hybrid, you won’t hear us complaining.